This dish is a celebration of a booming peach season here in Greece. 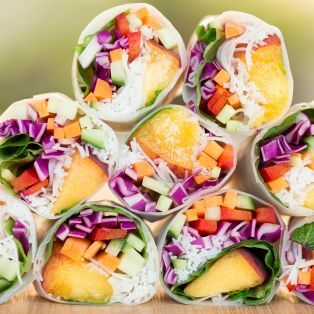 Peaches (and their smooth cousins – nectarines) are everywhere and you’ll be crazy not to fill your boots. They are cheap, sweet and succulent. 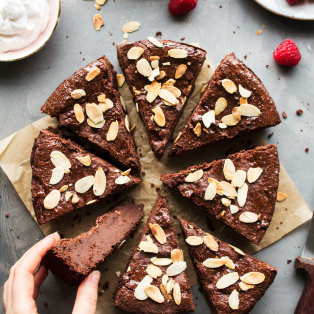 I guess I could have used them in a healthy smoothie, but the truth is that I made this tart to placate my sweet tooth as no matter how many times I make a resolution to quit desserts, I simply cannot go through with it. Normally, I am more of a chocolate fiend, but when fruit is this good you have to give it a starring role. 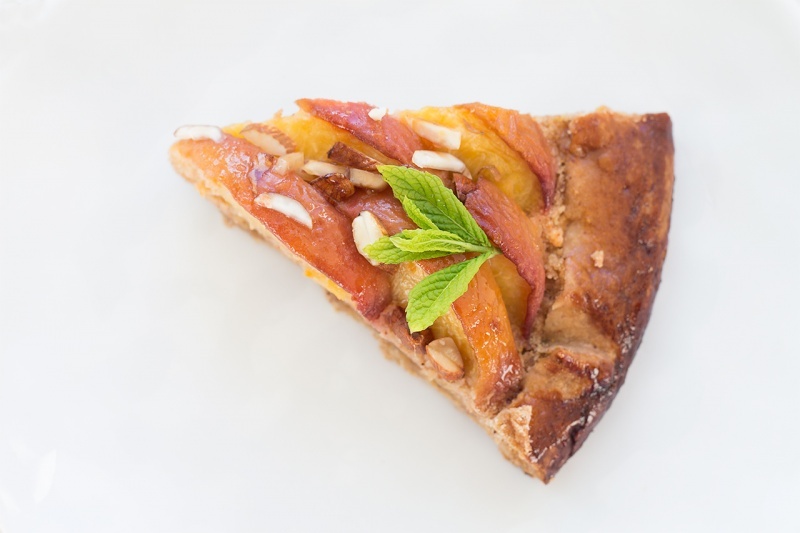 This cake is also a celebration of Greece and its amazing produce: sun-kissed peaches, olive oil and almonds. As you know, Greece going is through a really tough time at the moment and people are, understandably, distressed. They have had a lot of hardship already and don’t know what the future holds for them. It’s so sad to see decent, hard-working people have their dreams shattered and livelihoods endangered by widespread corruption and the power abused by a select few. My heart really goes out to them. Guys, the Greek economy may be not in a good shape, but the sun is still ALWAYS shining, the sky and the sea are the most gorgeous blue, the food is wonderful and people are generous and friendly. Do come and see for yourself! Just a word of warning – it may happen that once you visit, you may not want to leave – trust me, I speak from personal experience:). In a bowl, combine sifted flour, salt, cinnamon and icing sugar. 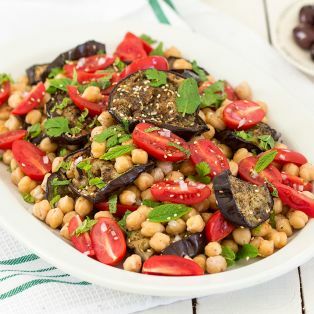 Add olive oil and incorporate it into the flour mixture with your hands. Add the water tablespoon by tablespoon (I used 3 tbsp /45 ml – you may need a little less or more than I did depending on the absorbency of your flour). Combine into a dough, but do not knead. 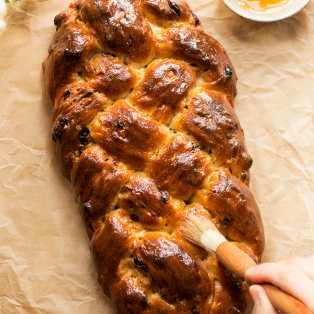 Roll a ½ cm thick circle of dough on a large piece of baking parchment. Place it on a tray and chill in the fridge for about 45-60 mins. Set the oven to 180º C. In a mixing bowl, combine almond meal, sugar and cinnamon to create the almond filling. 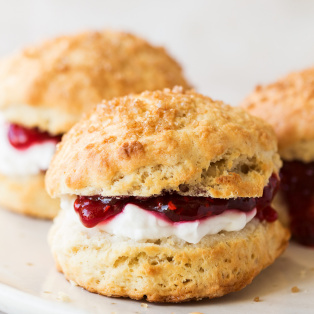 Take chilled pastry out of the fridge. Put almond filling in the middle of the dough leaving 2 cm margin all around. 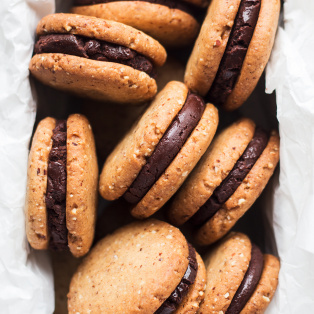 Drizzle Amaretto all over the filling to moisten it. Arrange peach slices on the top and make sure there are no gaps in between the slices. Crimp the pastry around the fruit in a rustic fashion. You can trim uneven edges if you want. 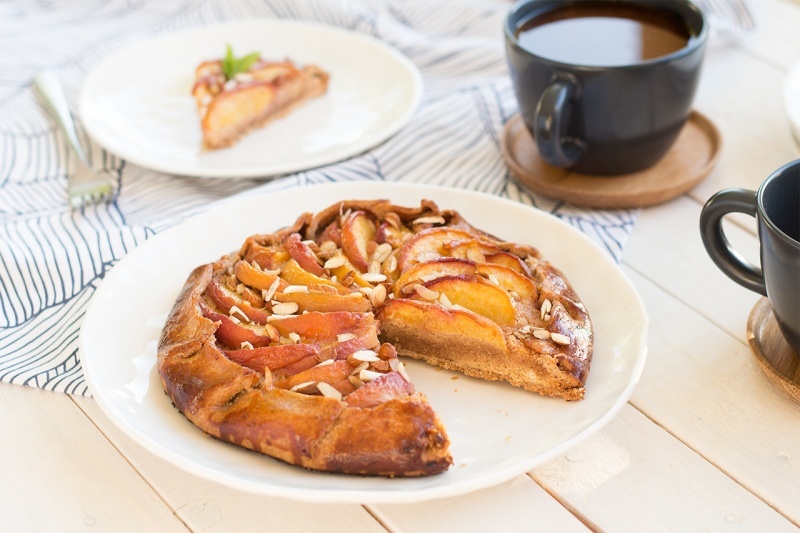 Using a pastry brush, apply apricot glaze to the pastry and fruit to give the pastry a nice shine and to prevent the fruit from drying out. Leave half of the glaze for later. Protect the top with a piece of kitchen foil and bake for about 60-70 mins, depending on how dark you like your pastry. After 45 minutes, remove the foil from the top to allow the pastry to brown. 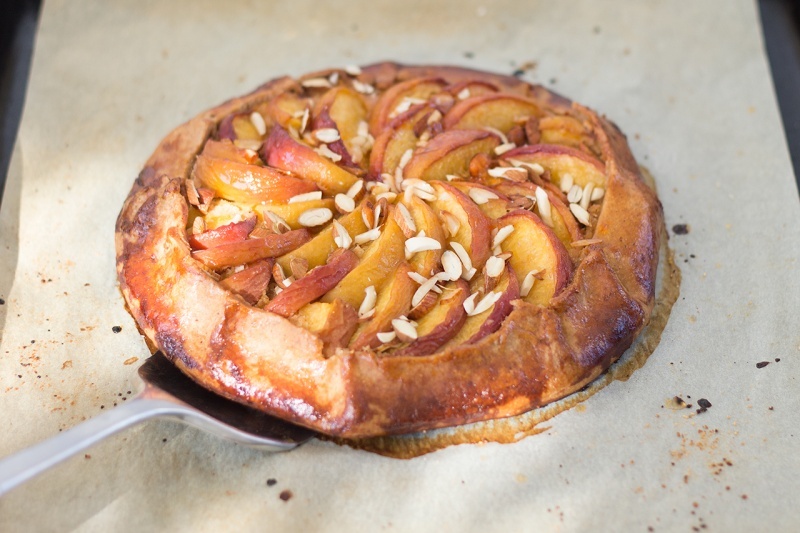 Once the galette is out of the oven, apply apricot glaze to the pastry to give it a bit of a shine. Scatter toasted almonds on top. 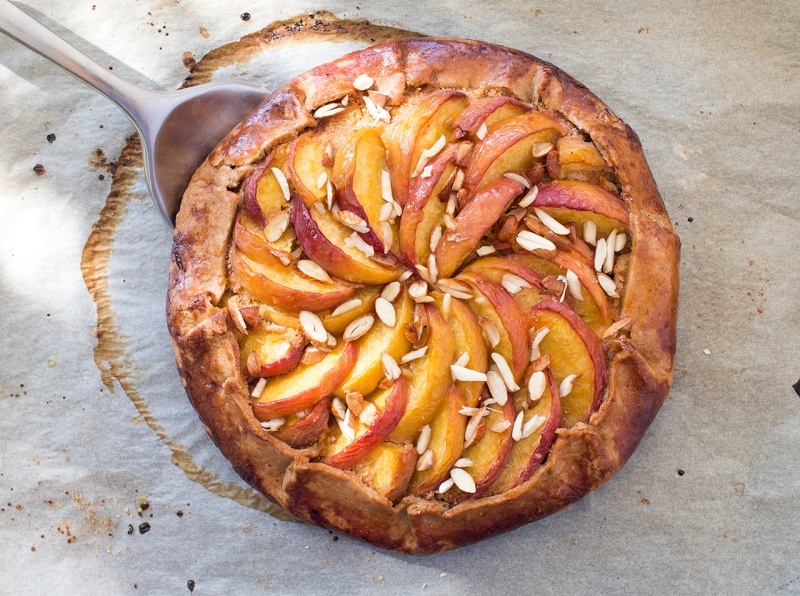 I have a feeling that one of the local veggie cafes in my hometown used this recipe (or a very similar one) for their vegan peach almond tart that I bought there today. After having a slice I NEEDED to find a recipe to make at home, and this one looks like a winner. Can’t wait to make this at home! Aw, thank you, Kelly. Hope you like the end-result – let me know. 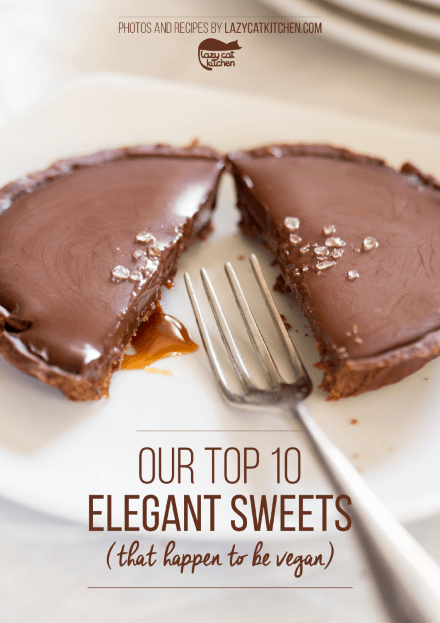 I love this tart, but I have banned myself from making it for a while because I tend to lack a bit of self-control:) when surrounded by sweet stuff. Thank you, for kind words:) This recipe was inspired by Greece hence olive oil in the crust. 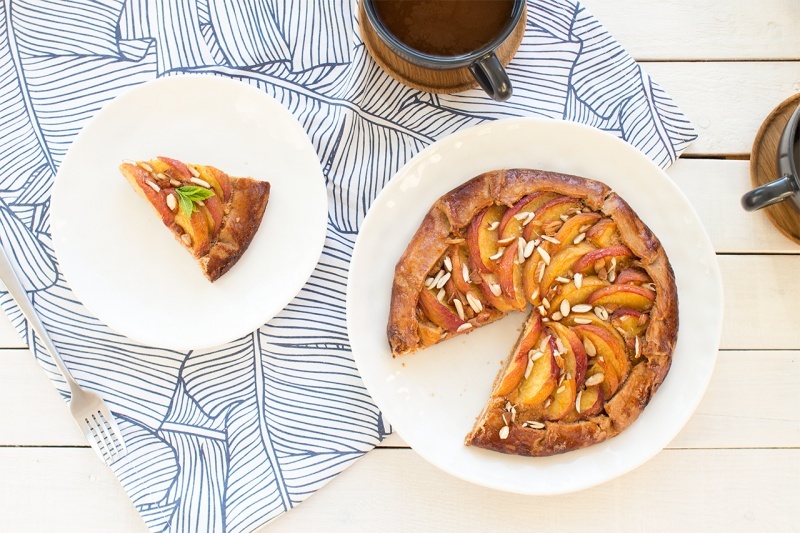 I L O V E this recipe – it is all you said it’d be- this galette makes me happy- reminiscent of Mediterranean holidays !!!! You have such a skill in creating this master piece and you share it so generously with others, thank you soooooo much!